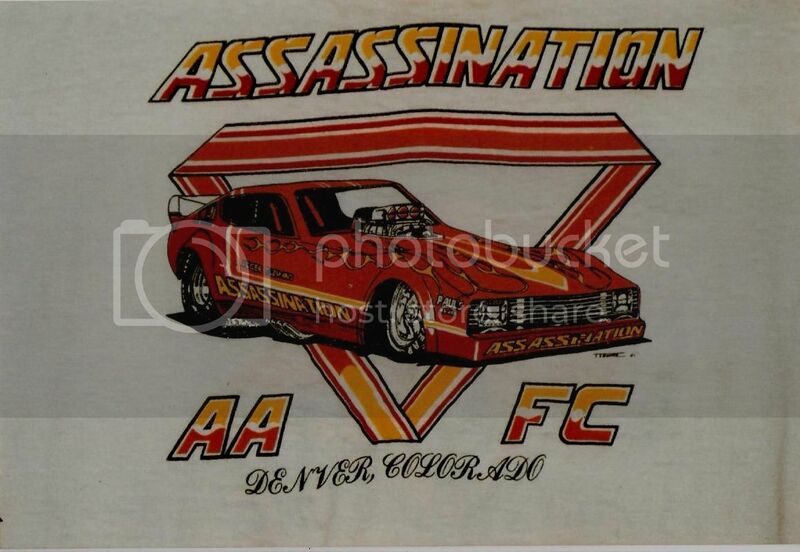 I came across my drag racing T-shirts collection, stored fogotten for years. I have one I don't remember buying, certainly not in 1973 as per the logo, was it a commemorative one for 25 years or something?. this is the oldest one I have left, Prudhomme brought some over, sold out in about 10 mins. 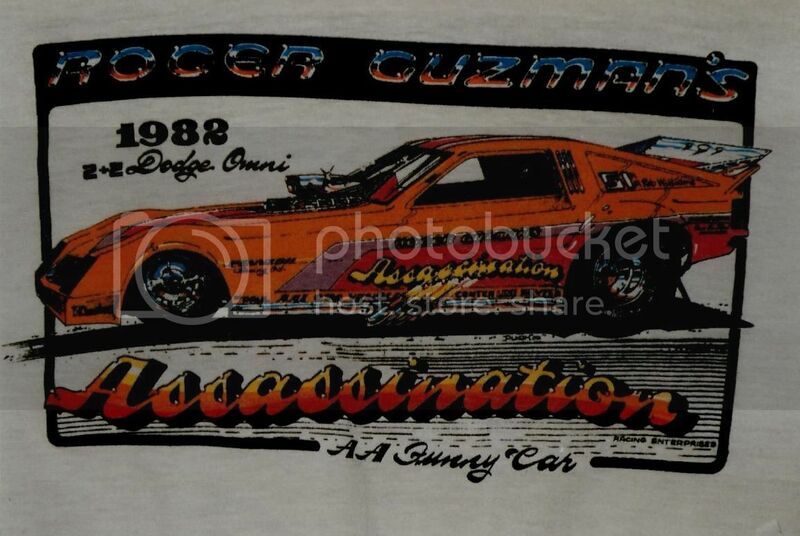 For this Dodge Omni shirt I wrote to Roger Guzman c/o Bandimere Speedway Denver, knowing he was a local racer, I enclosed probably about $20.00 for shipping. I was surprised when I got a really nice letter from him with this shirt. 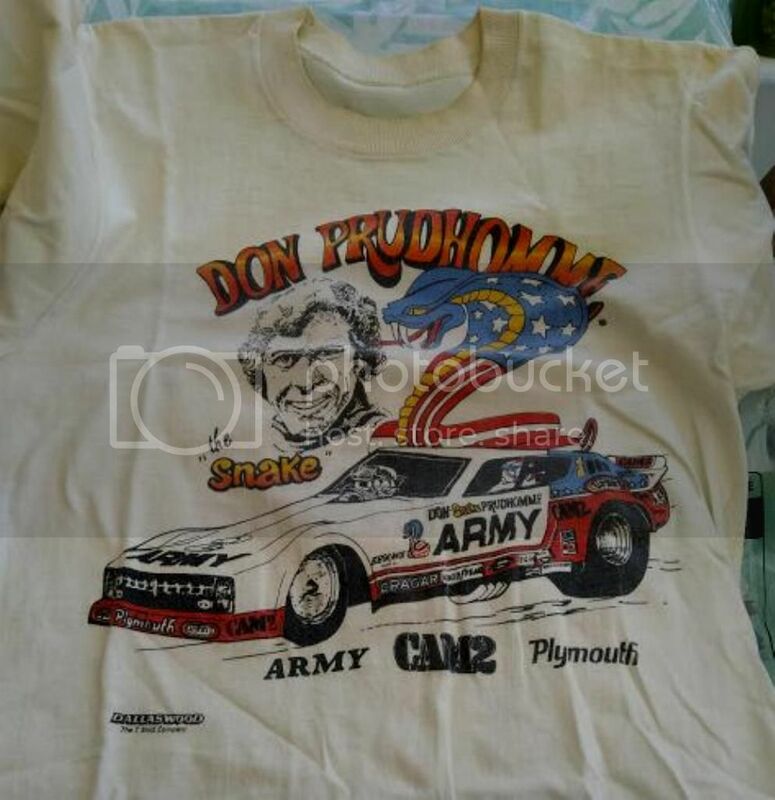 I had got the Plymouth Arrow shirt at a NHRA event a couple of years before, his paint jobs were superb. This is not the most exciting post I know, but I will post some more pictures as i get organised. Great shirts. Sadly mine got my wife's special wash and haven't stood the test of time. In response to the original question posed by Harefield99 I can offer the following. 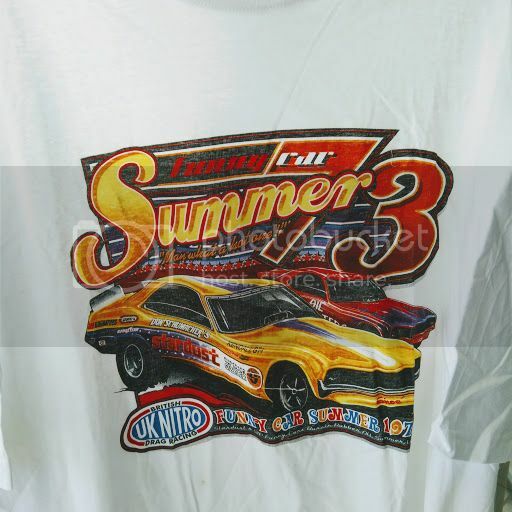 “Funny Car Summer of ’73” dates back to circa 2004 and was part of a UK nostalgia T-shirt range produced by Wild Bunch racer Colin Stevens and sold through his C & P Nitro T-shirts business. This design was succeeded by possibly a more well known British nostalgia theme, namely the Mister Six T shirt which commemorated Dennis Priddle’s first six second run. Prid can be seen wearing this T shirt design in a number of photos published in Keith Lee’s excellent book covering Dennis’ career in the sport. 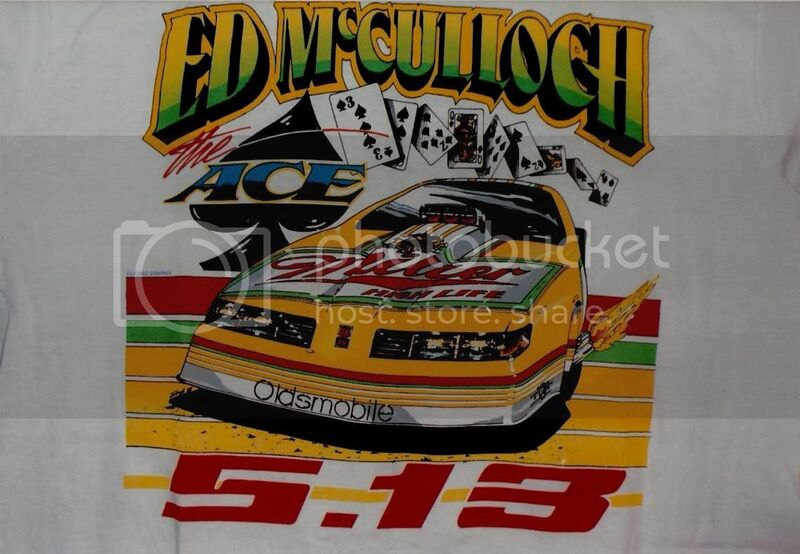 After the success of these UK themed designs, they were followed by a series of US legendary drivers: Don Garlits, Roland Leong, Raymond Beadle and TV Tommy Ivo. Filby, thanks for info, it is scary I don't remember getting it just 15 years ago, would have liked a Priddle shirt.